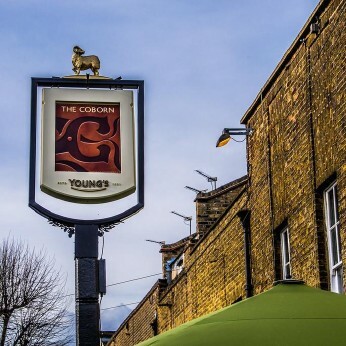 Within the pretty Victorian terraces on Coborn Road,between Mile End and Bow Road tube stations lies Young’s East London jewel.Serving a great selection of drinks and a mouth-watering menu, The Coborn is waiting to be your favourite local. Coborn in Tower Hamlets has disabled facilities. The pub gives a warm welcome to dogs and their owners, it is a family friendly pub. Coborn serves food. The pub has a function room that can be booked, it has an outside area. Coborn serves real ale. The pub has a smoking area, it has free WiFi. Coborn holds quiz nights. The pub has terrestrial TV.